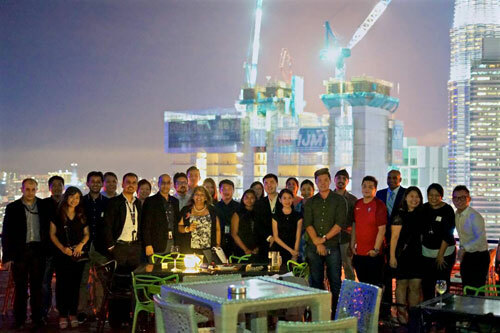 INTI International College Kuala Lumpur recently hosted over 20 prospective students for an exclusive preview for INTI’s MBA programs that are offered in their campus and in INTI International University. INTI International College Kuala Lumpur hosted over 20 prospective students for an exclusive preview into INTI’s MBA program. Dr Jagdeep Singh, Chief Executive at INTI International College Kuala Lumpur (IICKL) and Sabeeta Bidasie-Singh, Senior Manager for Working Adults gave an overview of the MBA programmes offered in INTI. Their session focused on the importance of upskilling in order to stay relevant in today’s competitive workplace and why it is vital to remain highly employable. “With INTI International University’s Master of Business Administration – Learning Simplified programme, working professionals can reduce their time spent travelling as it is predominantly done through online delivery and collaborations. In addition, exams are only 10% of the programme as its emphasis is given to developing communication and analytical skills which are relevant to the workplace,” added Sabeeta. 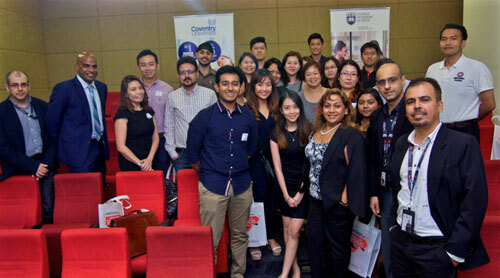 A group photo of attendees who attended the INTI MBA Preview with INTI’s faculty members. “At INTI International College Kuala Lumpur (IICKL), we offer Australia’s most prestigious Master of Business Administration (MBA) programme in collaboration with Sydney Business School (SBS). SBS MBA was recognised as the number one business school in Australia and number two among the Global Top 20 MBAs (CEO Magazine, 2015). It was also named one of the Top 25 schools in Asia Pacific by QS 2014/2015 and among the Top 10 for employability – indicating their international reputation with employers. A unique point about the SBS MBA at IICKL is that 50% of the module is taught by Sydney Business School with additional Masterclasses by leading professors addressing contemporary business issues and their application for career development,” shared Dr Jagdeep Singh. In line with INTI’s focus in ensuring that students, including working adults, upskill themselves to be highly employable, INTI endeavours to ensure its curriculum aligns with current and upcoming trends. INTI offers a range of MBA programmes to suit the different needs of working adults – whether through online or classroom learning, coursework or exam-based assessments and across professionals with different qualifications and years of experience.